SPAROS, a spin-off company of the Centre of Marine Sciences of Algarve (CCMAR) / University of Algarve, devoted to innovate in the development of new products and processes for fish feeding and nutrition, has developed a Powersim model (Stand Alone) to improve cost-benefit of feeding in farmed fish. To distribute the model to its customers, SPAROS had the need to deploy the model in a shared environment. 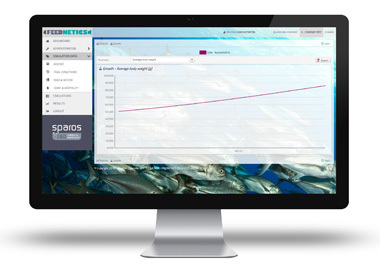 MAS consulting has developed a web application to optimize feeding strategies in fish reared in aquaculture and allowed SPAROS customers to use the powersim model everywhere. 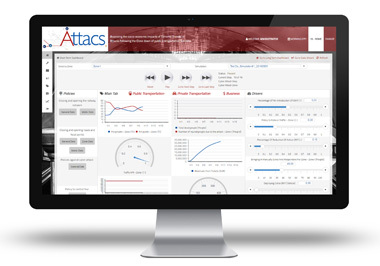 The ATTACS project aims to build a tool to support decision making in the transport protection field. The tool will enable transports operators and authorities to estimate all the economic and societal implications of a forced close down of part (or the whole) of their public transport system, so to be able to make better, informed, security related decisions. Thanks to the experience of MAS Consulting, the Powersim model (Stand Alone) developed from CIS Sapienza Roma, has been transformed in a web simulation environment that will allow local/regional/national government or other public decision makers to assess (urban/regional) economic impacts of a complete (or partial) close down of a public transport system (such as bus, underground, tram and train) for different lengths of time. For more informations write to info@mas-co.it or call +39 0341 284212.